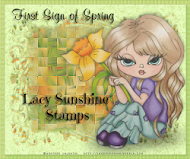 Joanie's Classy Card Corner: POP ! ! ! ! Hi again, it's time for another post for Through the Purple Haze Challenge - "New Folding Technique", so lets get going and there will be more about the card later in the post. 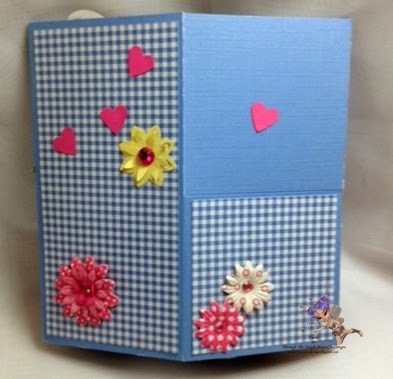 Thanks to our Sponsor Hougie Crafts for the Tutorial on the Pop Up Box technique. 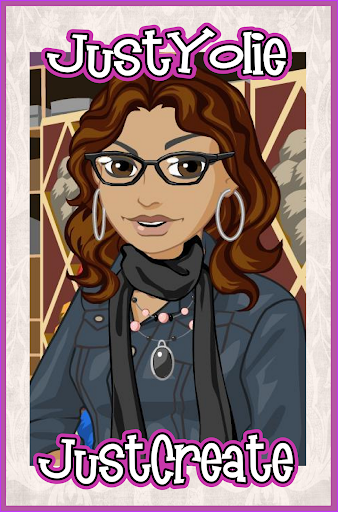 It was super fun to do and there is so many variations you can make. 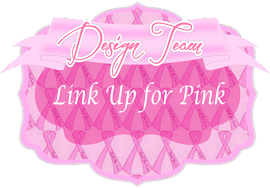 Check out our DTs inspirations on Through the Purple Haze Blog, they are awesome!! 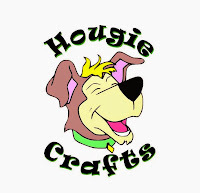 Then check out Hougie Crafts for lots of crafting fun!! 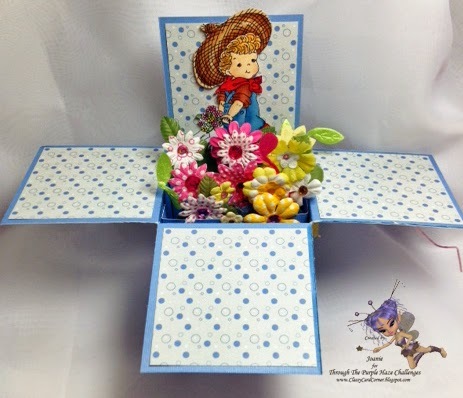 The digi I used was from Stitchy Bear's Digi Outlet and it is "Flowers for Mom", so I decided to do a box of flowers using the Pop Up Box. The card is a 6x6 card and so to add a little more embellishments I put two buttons and a cord as if you had to open it, but it's just a fold. 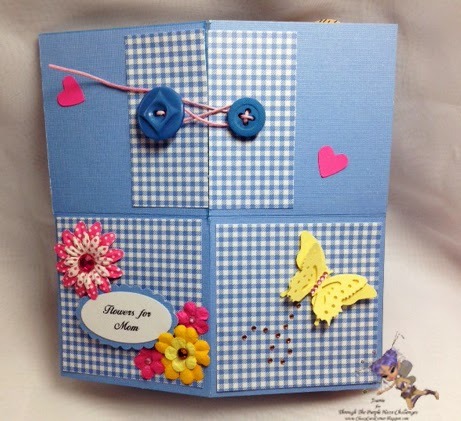 So that is the front and I put my sentiment on one section and a butterfly on the other section. Turning the card over, backside, I added some flowers. Then POP ! ! ! ! here's my box of flowers and my image. 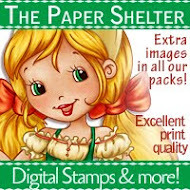 Butterflies were punched with Stampin' Up Punch. Buttons and cord from stash as well. Sentiment on front is on small oval die from Spellbinders. 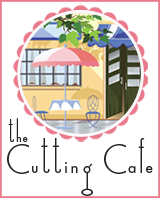 Matted with Small Scalloped Oval from Spellbinders. 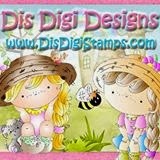 My digi, Flowers for Mom were colored with my Copic Markers. 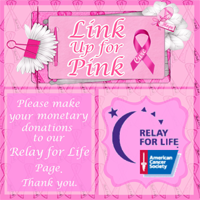 I had lots of fun making this and I hope you check out our sponsors so you can have fun too!! 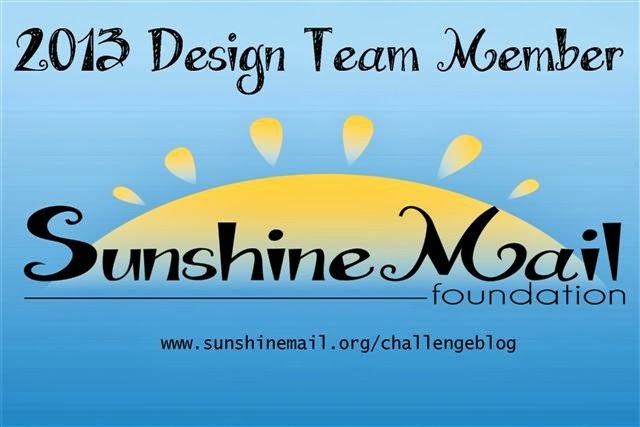 So get our your scrappin' goodies and get going and join our challenge. 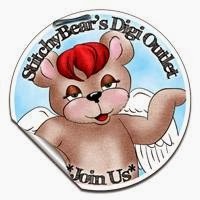 There are some images to be won from Stichy Bear's Digi Outlet. Very cute! I have made two like this but I didn't put the button closure look. I love the idea! Hi Joanie!! What a beautiful pop up box!! It would make a great card for anybody! !